I bought Videocon d2h (VDTH) to the spin-off portfolio at $8.25. I think it’s one of the best investment ideas in the current market for both medium and long term holding period. 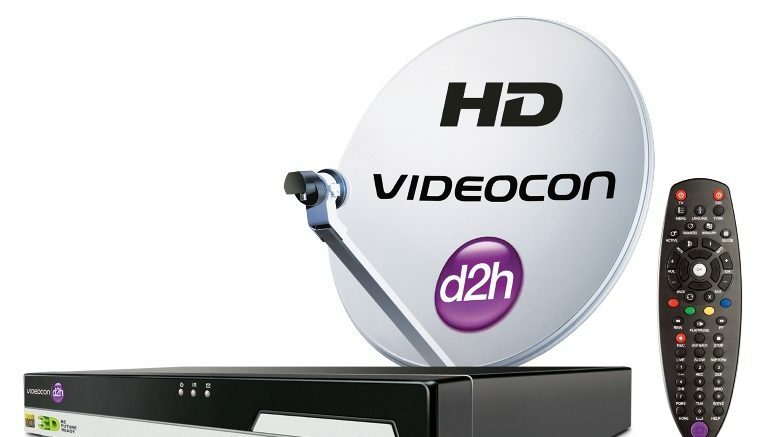 A year ago Videocon D2h (VDTH) was separated via spin-off from its parent company – Videocon Industries. VDTH is one of the largest satellite television companies in India, and has the highest growth rate among the country’s carriers. 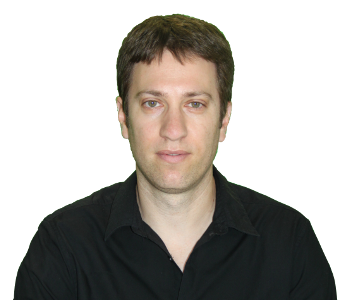 The company’s story is very reminiscent of the major US satellite TV companies, such as DircetTV or Dish Network (DISH), when they were young, only in this case the growth potential is much bigger. In fact, not only is there a wide range of positive macro factors in the country, and some which are related to the Company’s business environment, but its shares are traded at significant discount, which does not embody the company’s potential growth. It makes VDTH one of the most promising investment opportunities that I know of for the next decade. What makes VDTH so promising? While China is saturated with all kinds of problems and is experiencing a slowing of the growth, India took the lead as one of the world’s fastest growing economies with an average annual GDP growth of 7% -8%. Still, the TV penetration rate in India is among the lowest in the world – out of 275 million homes in India, only 175 million have a TV. Of these, 155 million are paying for television broadcasts – 55 million of them via satellite, 25 million via digital cable and 73 million via analog cables. The Indian government has approved a plan that requires analogue cable to be out of use in the next few years, along with laying the groundwork to connect 100 million homes in the country which still cannot get TV programming. This means a potential of tens of millions more homes that will join in as customers of satellite companies (by the way, they are called direct-to-home pay-TV service providers, or DTH). VDTH satellite is the fastest growing TV company in India – it has increased its market share from 9% in 2011 to 21% in 2016, so there is no doubt it will enjoy a considerable share of the new available customers. Another positive point is the relatively high number of satellite television companies in India – six companies, with Dish TV and VDTH being the largest. It is difficult to find other leading countries which have such a high number of satellite companies (the US, for example, has only 2 companies). The reason for this is the high CapEx costs which require a huge number of customers to maintain positive profitability. Therefore, it is likely the television market in India will sooner or later also go through a consolidation which would reduce the number of players in the industry, and allow those that remain to continue to comfortably raise prices for viewing packages. An additional upside comes from the fact that the prices of the current viewing packages in India are still quite low compared to similar countries. An average viewing package which includes hundreds of channels costs around $4 per month in India. Package prices will probably not come close to the prevailing prices in the US ($100 on average), but they still have the potential for an increased cost by tens of percentage points to reach the prevailing level in similar developing countries. The low prices in India are caused mainly due to the competition with the analog cable companies, but those are going to disappear in the coming years, and to reduce the pressure. In addition, the expected consolidation of the sector would also contribute to eliminating competition among satellite companies and the resulting pressure on prices of packages. Historically, prices of packages have increased by about 5% per year, and the combination of previously mentioned causes will help that pace continue in the coming years. Another important point to take notice of is the fact that even though the Indian economy is one of the fastest growing in the world, investors only have a limited opportunity to be exposed to shares of Indian companies, due to the stock exchange in India being closed to foreigners. Out of thousands of public Indian companies, only a small percentage of them are traded on exchanges in the US or Europe, and even then it is only the largest companies. VDTH allows you to not only invest in a quality company, but also be exposed the growing Indian economy. Of course there are also risks. The first risk is the currency. VDTH sells in Indian Rupee, while its stock is traded in dollars. In the last five years, the rupee weakened by about 5% to 6% a year against the dollar. In the last 12 months this depreciation was even larger – 7%. If this continues, it means that the rate of increase in the fair value of the company in dollars will be lower than the increase in cash flow per share. Still, if the share price is expected to rise by 30% a year in the future, we probably would not be disappointed if it will increase “only” by 23%. In addition, at the moment it seems that the strengthening of the dollar around the world is becoming more moderate and the US economy is growing more slowly, while the Indian economy continues to grow nicely, so that in the coming years we may see a shift in the dollar-rupee relation. Another risk lies in customers abandoning satellite television and moving on to one of the existing alternatives, such as Netflix, YouTube, Hulu or direct viewing of movies and series over the Internet for free. But, the fact that the viewing package prices are so low greatly reduces the risk of customers’ transition to these alternatives. As example, Netflix, which has recently begun in India, offers a package that costs double that of VDTH, and in addition it offers a very limited library of content compared to the 300 channels and more offered by featuring VDTH. Web-based alternatives are also not on the agenda, especially in light of the run-down Internet infrastructure and narrow bandwidth in large parts of India. Currently, only about 1% of all households have broadband Internet, so watching over the Internet is not possible for the vast majority of residents. As we know, India is a huge country which makes entire cities part of the “periphery” (Tier 3 and 4 cities) and will be difficult up to impossible to connect them to the wireline or cable in the future, giving a dramatic advantage to the satellite broadcast. Another recognized risk of companies in emerging markets is the lack of financial data, low transparency of the company’s actions, an attempt to enrich the pockets of the owners at the expense of shareholders, and so on. With VDTH this is not the case. The company publishes reports on time, frequent reports and legible presentations, and also, the board members include Jeff Sagansky and Harry Sloan, the two big investors that led the deal that brought the company to be public. As holders of non-controlling shares, I believe they will take care of the interests of all shareholders (You can read more about it here, for example). VDTH is not just the fastest growing company in the field. In the latest presentation it published we can learn why this is so. The company offers the highest a number of channels, has a wide distribution of marketing and service people throughout the country (something it inherited from its parent company), customer service at a Western level, and advanced transmission technology that allows it to transmit at high definition (HD and even 4K). These advantages helped it increase its market share from 9% in 2011 to only 21% in 2016. In the past year it has increased the number of customers by 1.68 million to 11.86, the revenue grew by 22% and the EBITDA increased by 32.5%. In addition, it was able to improve its EBITDA margin to almost 30% of sales. The fact that more and more of VDTH’s customers move on to consume more advanced viewing packages (HD and 4K), which naturally are offered at a price more than double the basic package, may continue to support the profitability expansion. The company has also began to put more advertising in its various channels. All advertising revenue is a direct addition to operating profit, which can give a further boost to profitability. Along with the anticipated growth, I predict that the company is expected to reach a positive net income during the next two years, maybe even in the next 12 months. Despite the quality of the company and the tremendous growth potential it has in the long term, the stock is traded at an EV/EBITDA of 9.3 on the financial results of 2016 (for the year that ended on March 31, 2016) and a future EV/EBITDA of 7 on the results of 2017. These are very low multiples for a company that increases its EBITDA by more than 30% per year. By comparison, Dish TV, the largest competitor of VDTH, which grows at 9% per year, trades at a higher EV/EBITDA of 9.5. As expected, there is a correlation between the behavior of the leading Indian stock index (green) and VDTH (red) and Dish TV – its big competitor (in blue). But, while the index is trading at a reasonable cost, perhaps even a bit expensive (P/E of 19), the two satellite TV companies, which grow much more, are trading at a deep discount, below their fair value, especially VDTH which is growing at a double-digit rate. Assuming that the EBITDA of VDTH will continue to grow at an average rate of 25% for at least the next five years, and the multiplier will rise a to more reasonable level (at least 11), VDTH will have to rise above $32 per share. This is 4 times the current price. Super-attractive investment. In my opinion, the main reason for this discount is the anonymity of the company to big investors. When they understand the situation, the gap to fair price will close very quickly. In fact, the Company’s management noticed this undervaluation and because of this, it is also considering register its shares over the Indian stock exchange, or alternatively, to carry out a massive buyback program. Being traded in the Indian stock exchange will increase liquidity and bring a wider recognition for its operations and a buyback will increase the value per share, so both options will give additional tailwind to VDTH and push it to a more appropriate price which will reflect the great potential of the company. Be the first to comment on "Videocon d2h (VDTH) is a Strong Buy"